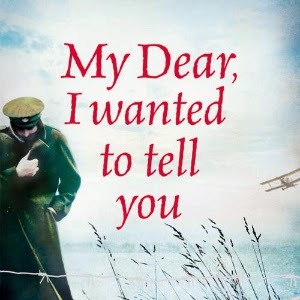 Literary Dinners, who celebrate new works of fiction with themed evenings, are getting into the swing for the First World War centenary with a dinner for Louisa Young's new book My Dear, I wanted To Tell You. Louisa will be there to read from the book, and then the dinner will be a recreation of the food from a Lyons Tea Room of the era. Best get dressed up - sounds like it's going to be a brilliant evening. ""In war, truth is only the first casualty." In honour of the WWI centenary this year, join Literary Dinners as we search out truth and lies in Louisa Young’s wartime tale My Dear, I Wanted to Tell You. So pull up your Nora Batty's and get patriotic as we do our bit to celebrate a story of love and loss in Paris, London and... Lancashire. In partnership with Cityread London's 2014 Novel Choice, Literary Dinners invites you to join Louisa Young for a supper soiree complete with readings from My Dear, I Wanted to Tell You. Louisa will share a story of those who fought and those who were left behind. And keeping us fighting fit will be renowned supper clubber and chef d'litterateur Pratap Chahal, serving up the delectable preserves of an 'over the top' garden. Will you join us for the fruits of victory? Do your bit. Guests will be welcomed with an original 'Trench Car' cocktail, combining British influences and a French je ne sais quoi to set the scene and warm the cockles. The evening continues with a trip to Lyons Tea Rooms circa 1913, as we try Devilled Sardines. For our main course, we move to the trenches with a hearty ration of Maconochie's world famous beef & turnip stew. Our vegetarian friends will have the option of Devilled eggs to start followed by mushroom and pumpkin Maconochie. Finally, we'll stave off any encroaching chill with a delicious plum duff and a victorious bouffant of whipped cream."